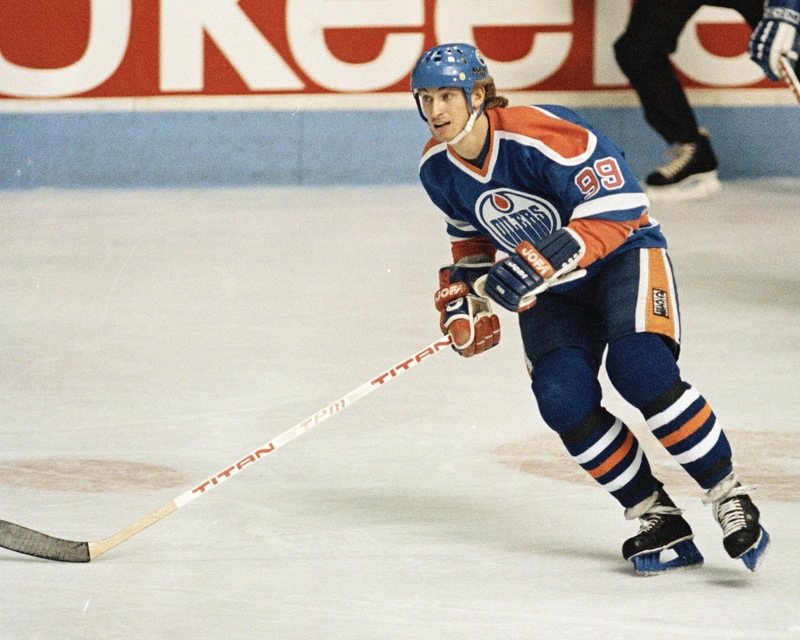 Steve Jobs and Warren Buffett made a quote by Wayne Gretzky go viral in recent years: “I skate to where the puck is going to be, not to where it has been.” It was sage advice that Wayne’s father (Walter) gave him growing up – and landed him in the Hall of Fame with dozens of records that may never be beaten. If you are one of the nearly 600,000 VARs, agents, solution providers or MSPs in the IT & Telecom channels worldwide – it is advice that is now more important than ever. 2. Where are all of these so-called “Born in the Cloud” Partners Anyway? There are changes happening in the industry that require action. The good news is that they are playing out over the next 5 years - giving time to properly plan, build a strategy and execute. As correctly predicted by Marc Andreeson in the Wall Street Journal 5 years ago, software is indeed eating the world. Every industry has been transformed, including the buying journey itself. The center of gravity for buying decisions has fundamentally shifted to cloud software and into the business units. 5 years ago, about 80% of technology decisions were researched and made in the IT department, today it is only 28%. In fact, Gartner predicts that it could be as high as 90% of decisions made outside of IT by 2020. 1. By the year 2020, the spending on IT cloud environments will surpass the total spending on enterprise IT infrastructure according to IDC. Cloud infrastructure is growing by 13.1% compounded while traditional is shrinking by 1.4% per year. 2. New channels, many powered by millennials, are growing at an exponential pace. These new partners are joining ecosystems built around SaaS software companies (Salesforce, Marketo, Workday, etc. ), lines of business (sales, marketing, HR, etc. ), solutions (CRM, HCM, EPM, ERP, etc. ), industries, sectors, geographies and even customer segments. Back to hockey – where is the puck going to be? With 72% of decisions now made by lines of business professionals, and growing the 90% by 2020, the obvious answer is verticals. It is actually more complex than that – I made up a term called “vectors” to highlight the intersection between industry and LOB, including other factors such as segment, sector, solution and geography. Today, these vectors are implementing 15 different categories of solution. From largest to smallest, these are: Enterprise Resource Planning (ERP), Customer Relationship Management (CRM), Product Lifecycle Management (PLM), Human Capital Management (HCM), Content Management, Analytics and BI, Collaboration, Supply Chain Management (SCM), Procurement, eCommerce, Treasury and Risk Management (TRM), Enterprise Performance Management (EPM), Project & Portfolio Management, IT Service Management (ITSM), and Sales Performance Management (SPM). Perhaps more important than size is looking at the growth rate over the next few years. Some of the smaller solution areas have the most explosive growth – TPM, EPM, SPM, eCommerce and ITSM all have CAGR’s of 4% according to Apps Run The World. Another major area is to look at the fastest growing industries. Healthcare, Life Sciences, Hospitality, Professional Services, Insurance, Media, and Education are the hottest sectors (in order) all with over 2% CAGR until 2020. Once a channel partner lands on vector(s) that they will build skills and capacity for, the hard work begins. Deciding what vendors and distributors to partner with, understanding the ecosystem of where customers congregate, learn and engage, and building relationships in new, and sometimes uncomfortable places. Every potential customer is being forced to become a technology company. Whether it is a car company with Tesla sneaking up, transportation company with Uber, hospitality company with AirBNB, or any other of the 27 industries, technological disruption is threatening traditional companies with extinction. 1. These verticals are huge, rivaling the size of the IT and Telecom Channel in terms of number of firms. The best estimate for IT firms in North America is 160,000 while legal has 190,000, accounting has 133,160 and marketing has 105,180. 2. More than just size, these companies are rapidly converging into the broader IT and Telecom space. For example, 51% of accounting firms resell software today, with 33% more considering it. The numbers are similar for offering IT compliance, consulting, advisory and assessments. By the year 2020, more than 80% of accounting and marketing firms will be indistinguishable from traditional IT channel partners. Legal is slightly lower at 55%, but still heading the same direction. Now think about every company in every industry becoming a competitor for these technology dollars that lines of business are increasingly spending. The opportunity for channel partners in the future lies in the complexity of vectors. The permutations and combinations are somewhat endless and carving out new niches will be the new normal. Each partner must decide on “how” to get to the puck. It could be through skill and capacity development, partnering, mergers, acquisitions, or a successful mix of them all.